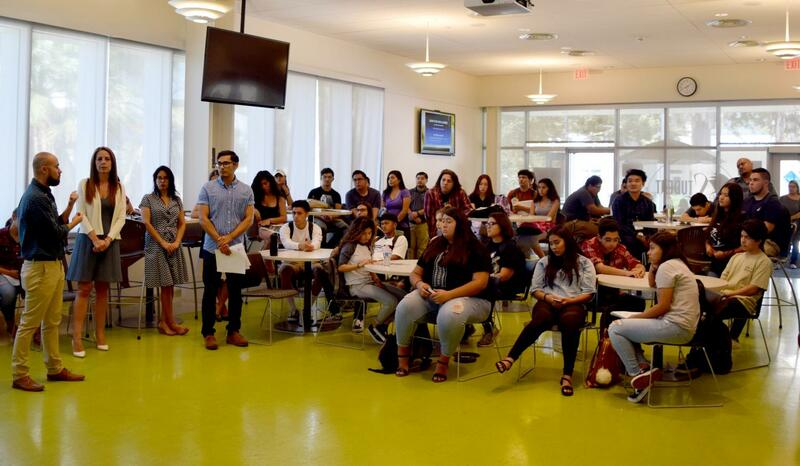 Students filled the Student Union at Rio Hondo to discuss the DACA elimination announcement. With the Trump Administration announcing the elimination of the DACA program, many undocumented students are left wondering what’s in store for them now. Keeping this in mind, Rio Hondo held a Healing Circle inside the school’s Student Union on Tuesday afternoon. 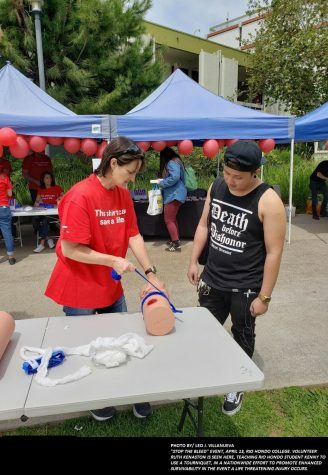 The event, which was open to students and staff, provided a platform to discuss what they were feeling following the decision to eliminate DACA. Rio Hondo’s Student Union was daunted by a somber vibe. The room was filled with documented and undocumented students alike; all of whom knew someone that would be affected by the DACA announcement. To start off the meeting, Rio reps passed out copies of the official memo released by the U.S. Department of Homeland Security regarding the DACA decision. After copies of the memo were passed out, students were told to get in “elbow-partner” groups of two or three to discuss their feelings about the issue amongst each other. One question that constantly came up during the session was: what’s next? Dr. Mike Munoz, Executive Dean of Counseling and Student Equity, knows that everybody’s situation differentiates, so just assured them they are safe on Rio Hondo’s campus. Rio Hondo will be holding another Healing Circle for anybody who would like to talk more about the DACA elimination. The meeting will be held at one p.m. but the meeting place on Rio’s campus has yet to be announced.